If you’re looking for a great place with unique destinations and sights to see, Phoenix Arizona is your place to be. This can be a great place to see during your spring break whether on your own, with friends, or with a family. There are many Mexican food destinations, great places to visit, animals to see, and more. Here I can give you some helpful information to be your complete guide to Phoenix, Arizona while traveling. Phoenix has many hotels throughout it that have good reviews and prices that can fit any budget. Prices can range anywhere from around $60 per night to over $100 per night, so do your research to make sure you book at the best place for your budget! You should also book ahead of time to make sure you have a hotel room guaranteed. There are many options in Phoenix for transportation. You can take the buses, rails, bicycle around, or drive. Getting into Phoenix through flying you fly to the Sky Harbor Airport, or you could drive to Phoenix so you have transportation no matter what by your car. There are so many restaurants in Phoenix. From drive-through Mexican places, to sit down restaurants, to places with plain hot dogs, you can find your niche here anytime. Phoenix is a Mexican place primarily so the food has many traditional Mexican influences. 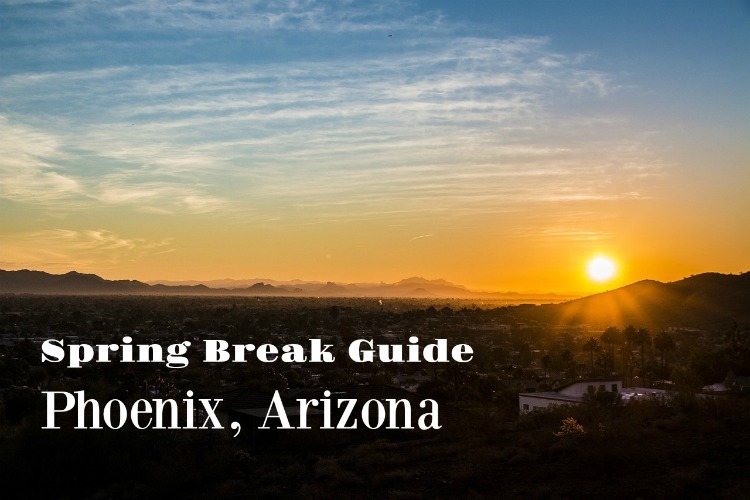 In and near Phoenix there’s a large variety of places to visit and some water parks for the warmer parts of your spring break vacation. 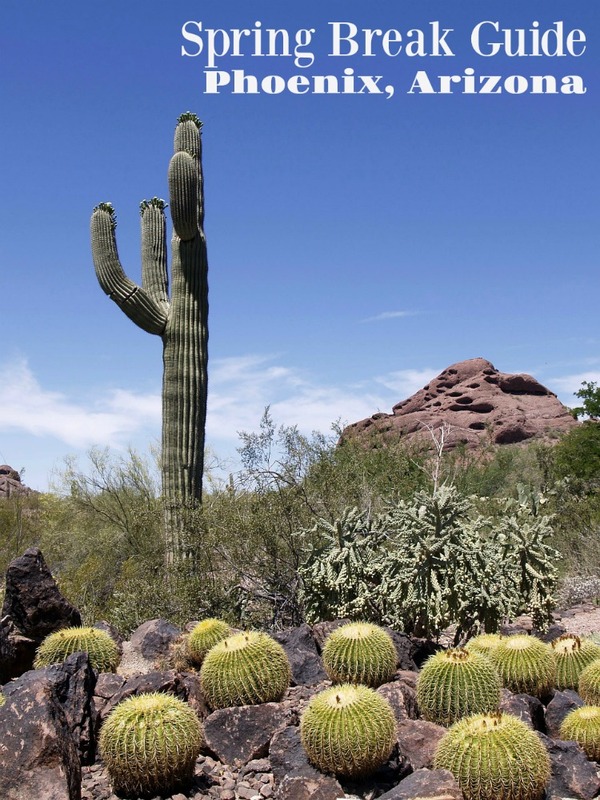 You can take a scenic drive on the Apache Trail, visit a water park, hike the Waterfall Canyon Trail, visit Phoenix Zoo, tour a dairy farm, or many more. Phoenix also has its own events calendar as well. Some more things include an amusement park, fishing, train rides, bowling, public swimming pools, and again so much more. The options are completely limitless depending on what you want to see and do while you’re here, you certainly won’t run out of things to see and do! There you have it, some helpful information and great places to see while you’re on vacation in Phoenix, Arizona. Hopefully, you can have lots of fun here and be able to take advantage of many different places to visit. If you are looking for some Mexican culture, good times, and great scenery. Have fun on your trip! Let me know in the comments what your experience was like and if you’re planning to go here, it’s great to hear about what you think.